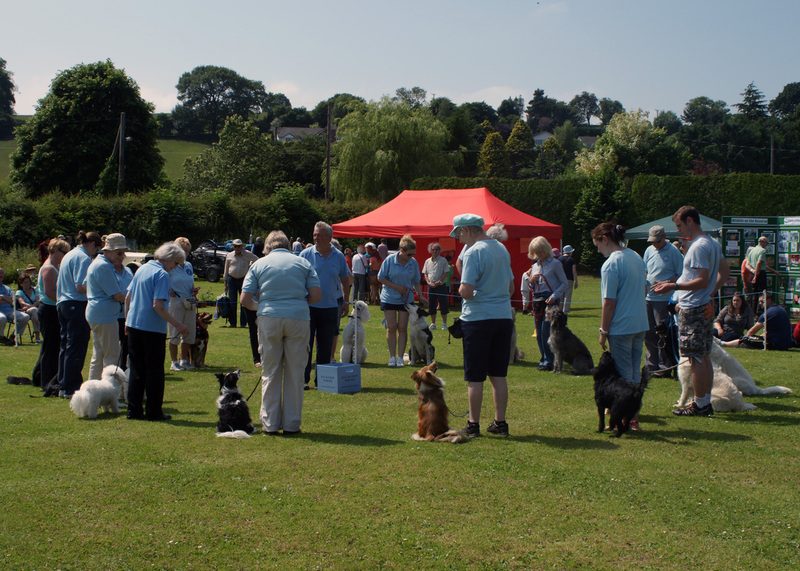 Well thats it for another year, I can`t believe how quickly this year has gone. 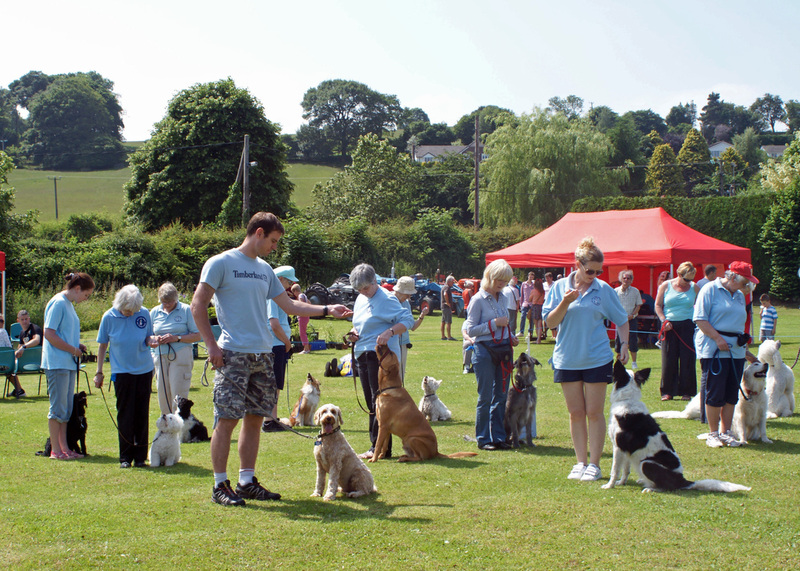 We have met so many lovely puppies, dogs, and rescue dogs and their owners and really enjoyed helping them become better behaved. 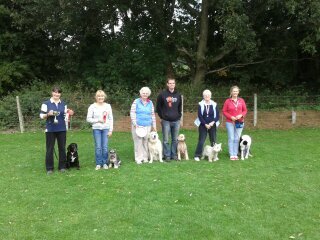 This year our competition class has done really well as you can see below, lets hope for another good year. 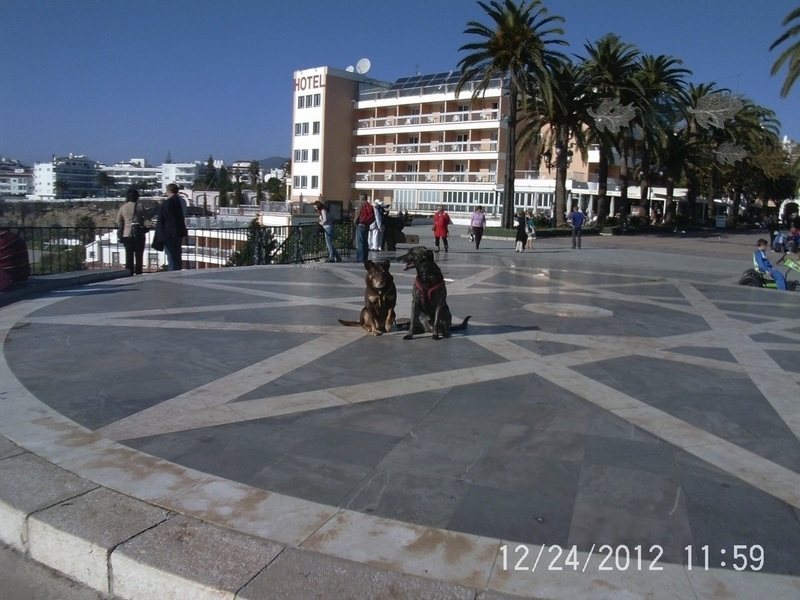 We are having a winter break now and will be back soon with renewed energy. Thank you to you all for choosing our school and for all the lovely comments to us and to others. All our pupils and their wonderful dogs will be celebrating Christmas by taking part in party games with prizes and lots of treats and mince pies for us! 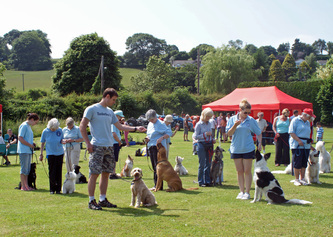 We had some lovely fancy dressed dogs and many thanks to Carole and Kenny for their dancing display. We are holding our Christmas dinner at the Beaufort Park Hotel; this has proved a very popular event over the years and we are looking forward to welcoming some of our new pupils this year. The hotel always provide a lovely meal for us and plenty of "balloons"!! 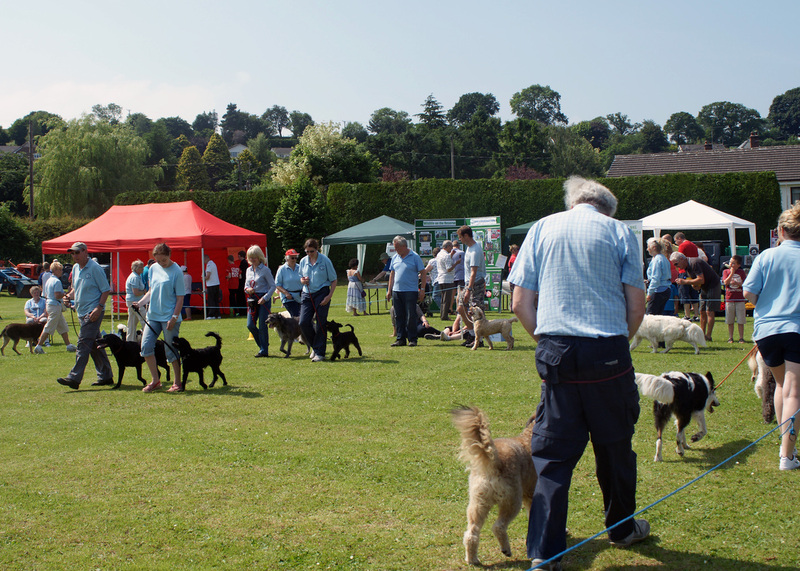 We also hold the DOG OF THE YEAR awards for the competition class who have earned points by winning prizes at shows during the year. Good Luck to all of you for next year. we are all so proud of your recent success. First time at a dog show with Belle! This is a great success for our school, we have been training and practising all year and its nice to see the rewards come in! 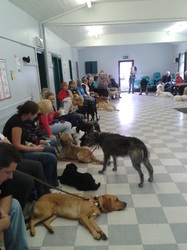 Everyone works very hard with their dogs and we all enjoy our training at class. After lots of near misses they finally get what they deserve. 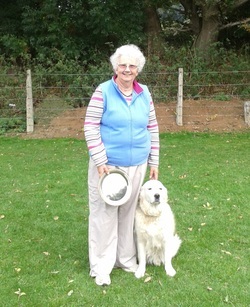 Bruno is a lovely dog who tries his heart out for Janet, they have a lovely relationship and we are pleased and very proud to have helped them on their way. I am sure there will be many more wins now they have got the hang of it! 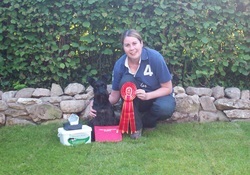 We are looking forward to the cakes at the weekend and helping you both celebrate your achievment. Also got 3rd in Novice! what a super day you had. 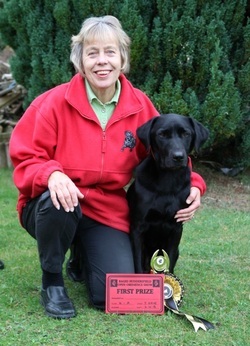 Left - Gill and Evie with the Progress Award for the most progress made in the last 6 months, Gill has not worked a dog before so has had as much to learn as Evie but they have both tried so hard and deserve this reward. 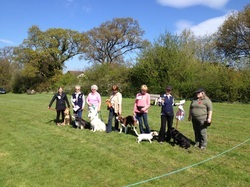 Top middle and right - Everyone has finished competing and waiting for the raffle to start! 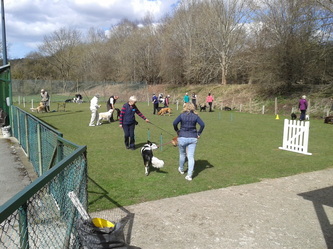 The test went extremly well and we were blessed with good weather yet again. 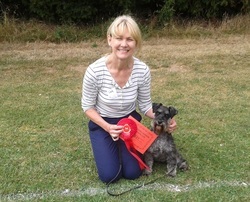 Everyone did their best and all took the best dog home at the end of the day. We had 30 of our pupils competing and Colin and I are very proud of you all. We all look foward to the next test in the spring. Pets As Therapy DOG, they are busy visiting nursing homes in the Chester area and making lots of new friends. 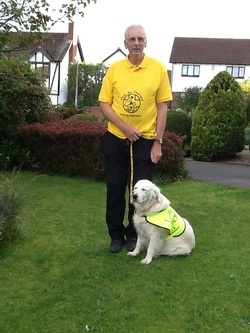 Evie is a rescue dog from the golden retriever rescue and has found a wonderful home with Bill and Gill, their training with us has gone really well and they will be entering their first obedience shows in October, we wish them the very best of luck in the future. 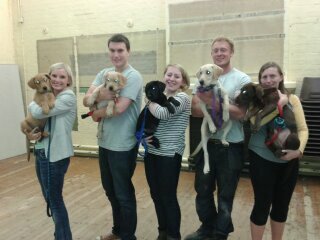 I cannot believe how many Labradors we have had at class this month! 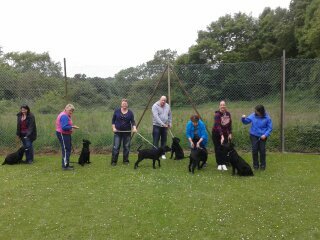 The picture on the left is at puppy class in Hoole where we had the full range of colours, the picture on the right is of our Saturday class at Rhydymwyn where we had 7 and they were all black! We are very proud of all you have achieved over the years and wish you all the very best of luck for the future. Only their second time in the ring, what a wonderful achievment! We are very proud of you both and good luck for the next one. Looking forward to cakes on Sat!! on gaining their silver good citizen award. 18 of our advanced and competion class pupils performed a wonderful obedience display at Rhydymwyn fete. Well done everyone. 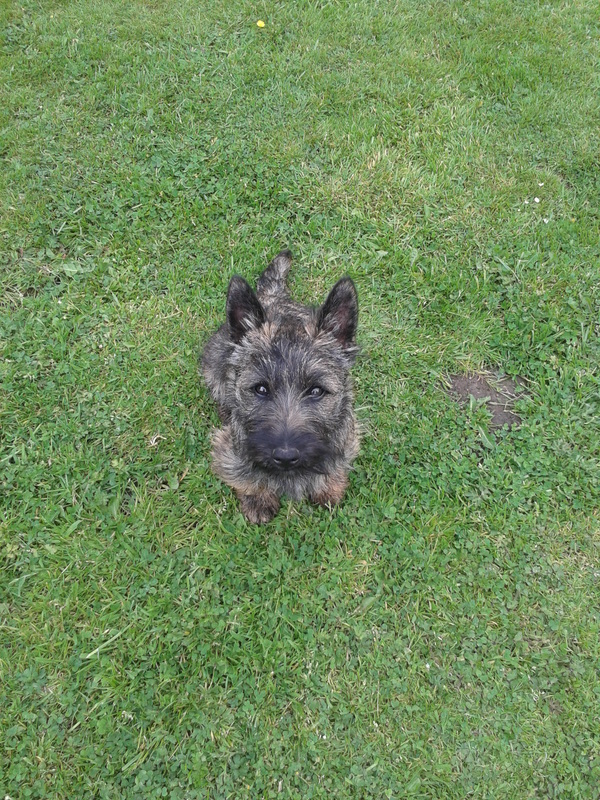 He finally stays still enough to take a picture of him growing very quickly! 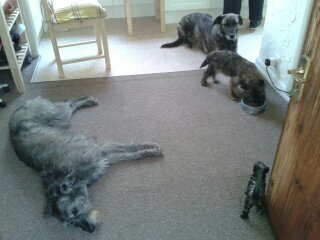 Guy and Perdie waiting patiently in case there is any food left in his lunch bowl. This is their second win which means the have now won out of that class and now have to work in Novice. We are so very proud of you both for all you have achieved and wish you loads of good luck for the future. 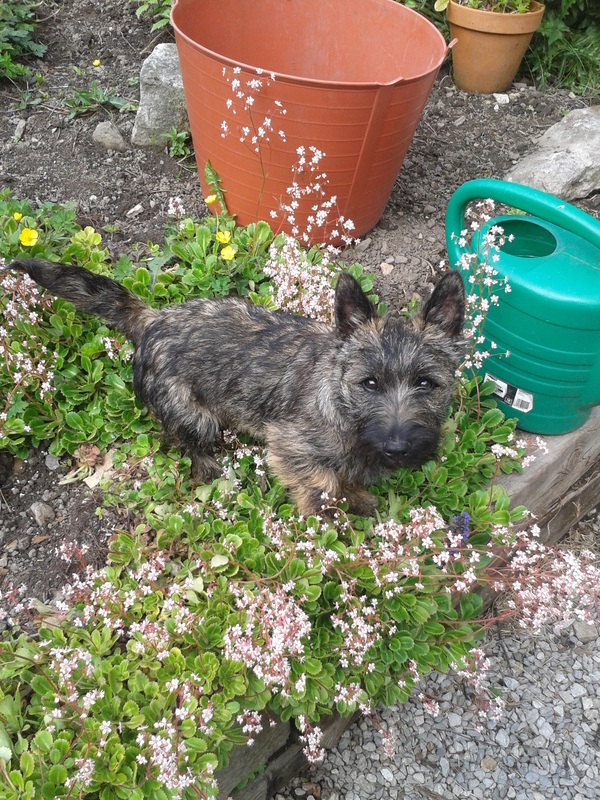 Also well done to DAVE and EBONY for getting a place in the same class, you`ll get there one day. WELCOME to the new member of the Werner family. Introducing BODIE a Scottie x Cairn terrier who is absolutely adorable and is the apple of Colins eye, he always spoils the puppies!!! teach him some respect so is being very aloof! 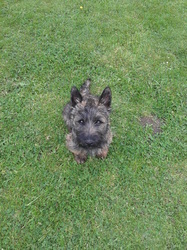 He has already started his training with me and doing well considering he has only been with us since Friday. 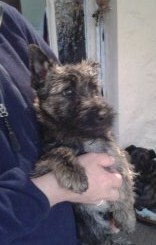 He is fully vaccinated so will be joining our classes from next week so everyone can meet him. 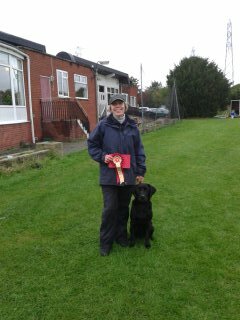 EMMA AND BARNEY 1ST GILL AND EVIE 4TH. CONGRATULATIONS to our pupils on their success at Pedwar Pawen exemption show held at Bodelwyddan. 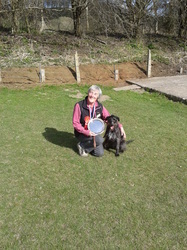 Janet and Bruno winning the Novice class and Pat and Guy coming 3rd. 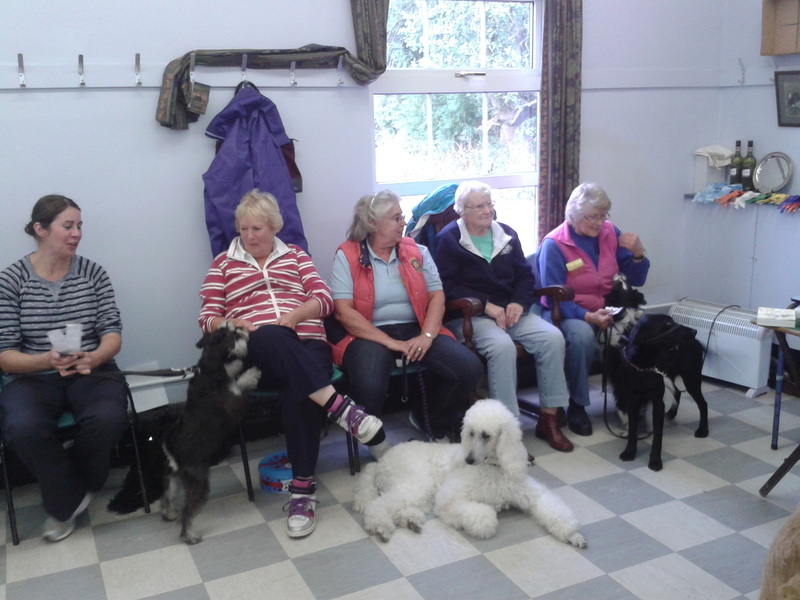 Judy and Ruby, Val and Jenny, Megan and Perdie, Emma and Barney and Gill and Evie. 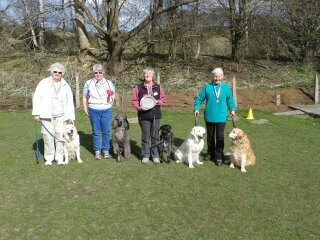 Well done everyone, a good day out for our training school. Congratulations to all our pupils at our spring progress test. 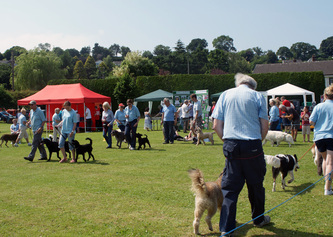 We had a lovely day for the event and everything went well. and to be held for 6 months until our next test. We had 28 dogs attempting the three different tests. 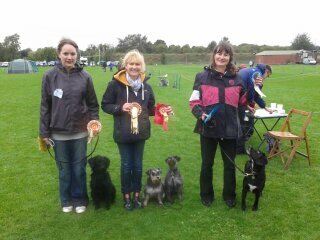 Everyone went home with a rosette and a raffle prize! What a fabulous day for our school, we are very proud of you all. We are very proud of you both and look forward to the cakes at the weekend! PROGRESS TEST WAS POSTPONED DUE TO THE WEATHER! 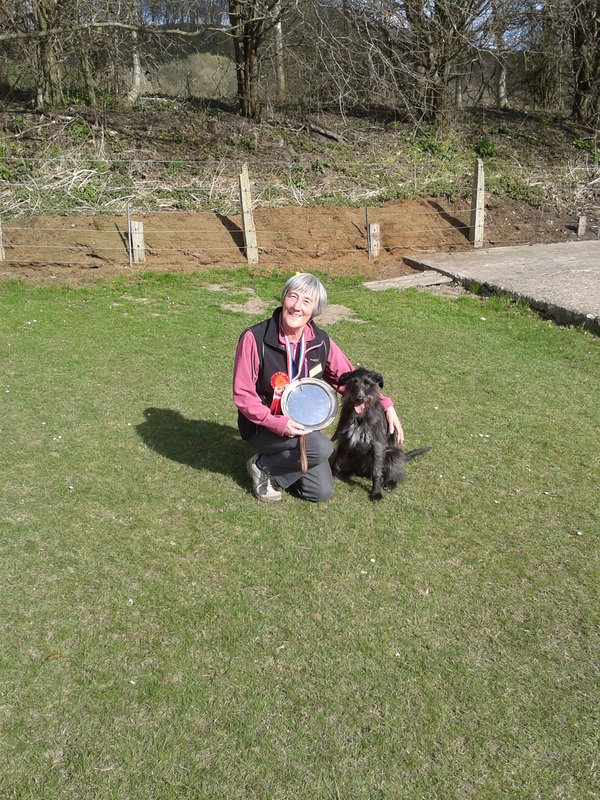 Congratulations to JANET AND BRUNO taking 2nd place in Novice at Lune Valley dog show. A good start to the year.